Serious golf players buying custom golf clubs Arizona pay attention to many aspects of the game. While most people view golfing as a fun recreational past-time, experts in the sport agree that carefully evaluating certain fundamentals helps participants score well in this very competitive leisure activity. If you haven’t experienced the success you desire on the links recently, the issue may relate to your equipment. Your clubs might not reflect a sufficient level of individual customization to really enhance your game. If you’ve always wanted to impress with your swing, taking some time to conduct a thorough technical analysis using Trackman golf Phoenix Arizona software offers significant benefits. Over the course of time, experts have appreciated the important components of a golf swing. A lot of hard scientific data surrounds this issue. Just as racetrack enthusiasts or baseball fans may spend hours analyzing the performance of exceptional horses and ball players, golfers have developed very sophisticated technologies to translate a club swing into mathematically identifiable elements. The spin rate of the ball matters in this process, although factors such as high wind may frustrate precise measurements. In general, a high spin rate exerts a deleterious impact on a player’s score. Excellent tailored clubs offer players a better ability to control both the distance a ball travels and the flight of the golf ball, both factors affected by the spin rate. Experienced players measure the club speed in terms of the speed of the club head just before impacting the golf ball. As a rule of thumb, your ball will travel a longer distance as you increase the speed of your club. Custom designed clubs should take into account a player’s typical club speed during a swing. This statistic measures how a player shifts physical energy from the head of the club into the golf ball during a swing. 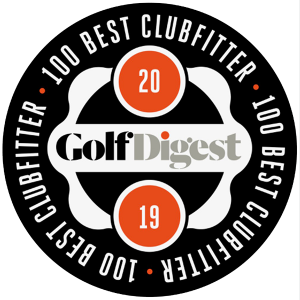 Although in different situations you can expect this figure to vary, it helps club manufacturers of premium custom-designed clubs to know how you perform your swing. Do you strike the ball with a more energy than a typical player taking the same shot, or less? This customization process involves a delicate balance between achieving optimal spin rate for the ball and a great launch angle. Of course, these numbers vary widely sometimes based on individual swings. You’ll enhance your game by determining your preferred launch angle whenever you approach a golf shot. The Trackman analysis involves a careful assessment of the face angle values also. Some players turn the club face slightly to the right as they strike the ball, while others reveal a tendency to angle the club towards the left. You’ll want to know which approach you tend to utilize when you commission premium hand made clubs. The combination of the speed of the swing and the impact of the club on the ball will influence the speed at which the ball travels over the links. Some players shift their weight during the process of hitting a golf ball, influencing this number in an unconscious way. You may not appreciate whether you shift your weight towards your toes or your heel until you actually analyze your typical golf swing in minute detail using a sophisticated Trackman system. The highest quality custom golf club fitters routinely track these (and some additional) measurements for Trackman golf Phoenix Arizona in order to ensure that a player matches a set of customized clubs perfectly. Rote “Improve golf game” techniques generally won’t work well without taking this step. The next time you consider seeking custom club fitting in Phoenix, you’ll want to locate a company that displays the capabilities to tailor its “custom golf clubs Arizona” customization process to your individual game measurements. Once you try specifically customized golf clubs on a course in the Phoenix area, nothing else will satisfy you. You’ll want this type of high quality, professional customization whenever you purchase a new set of clubs for your favorite sport!